Birding Is Fun! 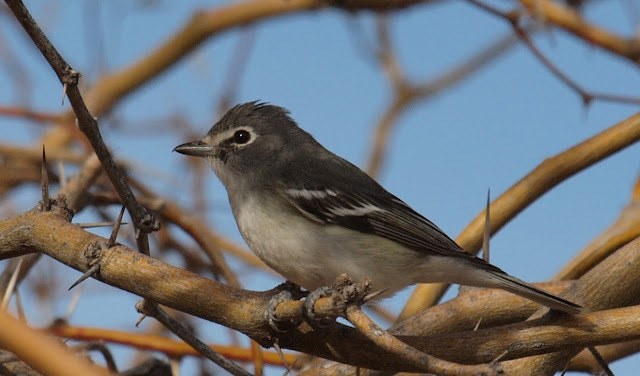 : Gilbert Water Ranch: Cassin's or Plumbeous Vireo??? 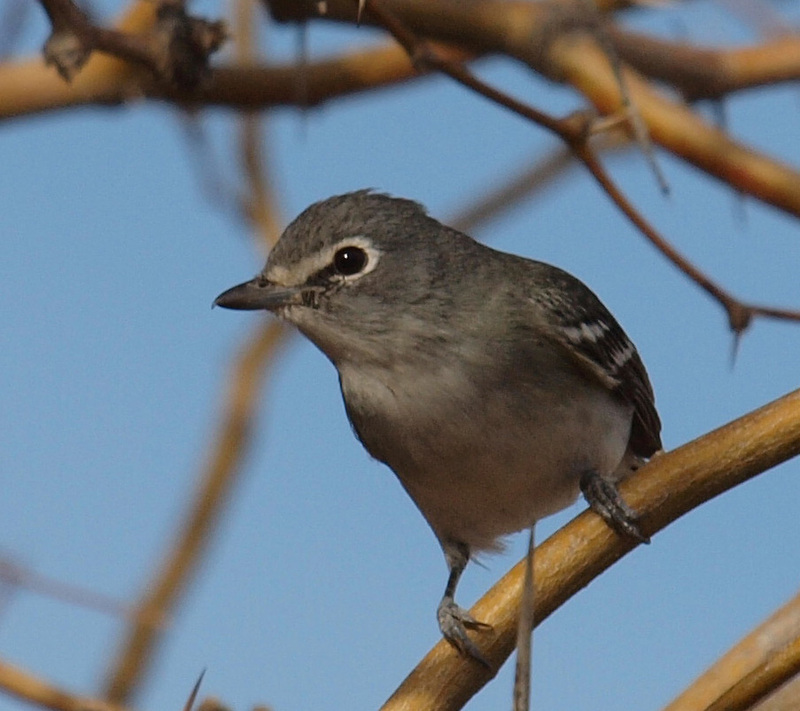 Gilbert Water Ranch: Cassin's or Plumbeous Vireo??? This was only my 6th time seeing a Cassin's Vireo, so each sighting is still exciting to me. I have now seen them three times in Arizona and three times in Idaho. 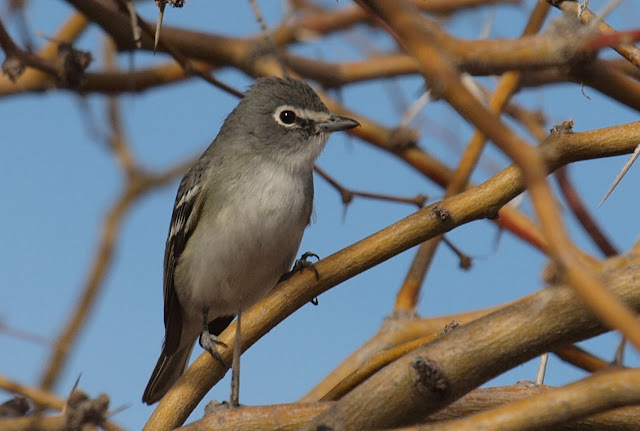 I don't have Plumbeous Vireo on my life list, so I'll have to watch out for them now that I live in Utah. The differences between this group of Vireos is subtle so below are a couple more photos of this Cassin's Vireo with a few ID tips to help myself more than anything else. Great photos and the details are very interesting. Thanks Brendon. I will study up on this some more. Hey Robert, I think Brendon may be right. That bird looks awfully gray to me. They are gorgeous photos and make me want to go out and find one. It sure is checking you out! After looking through multiple sources, the bird looks like a Plumbeous Vireo to me. There is very little yellow was on the sides and is very gray. Thanks for the help with the ID everyone! Love those spectacles! Look at that lead-gray color! What a cutie! BTW, photos in bird guides can be so off. I usually end up consulting several bird guides. Definitely a Plumbeous Vireo. No hint of greenish tones and no yellow on flanks. Being wrong never felt so good!